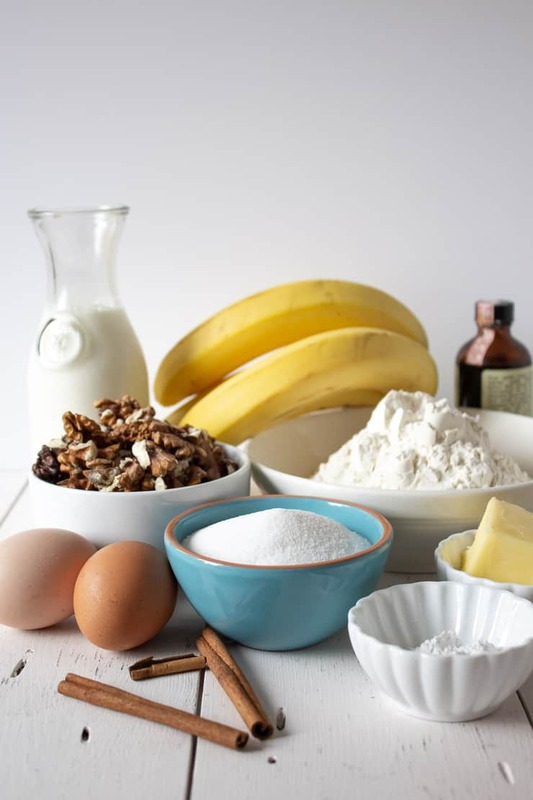 This recipe for Banana Walnut Muffins was originally published in June 2015. The pictures and post have been updated. 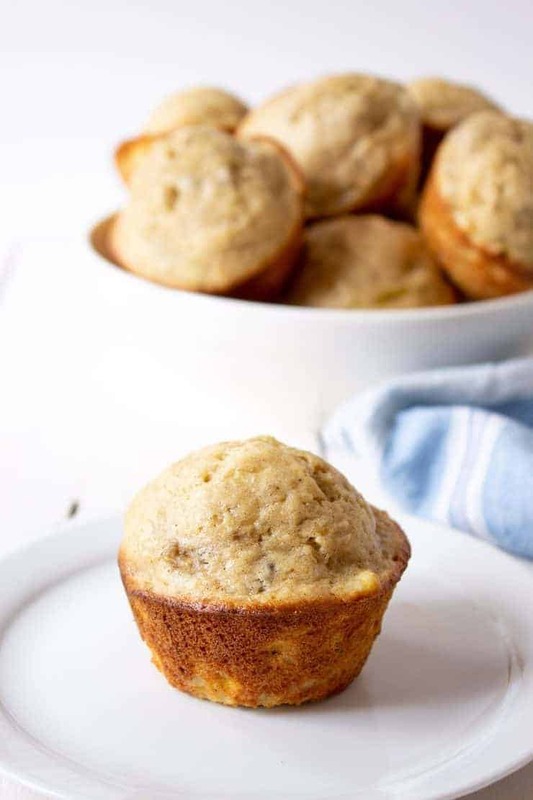 These Banana Walnut Muffins are so easy to make and are a favorite for breakfast or for lunch box snacks. We always seem to have bananas sitting on our kitchen counter just waiting to be eaten. Bananas seem to go quickly from the perfect ripeness for eating to way over ripe. 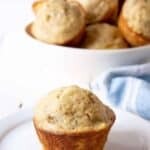 Once they hit this stage they are perfect for these banana walnut muffins, oatmeal banana muffins, quinoa banana bread, or smoothies! This batch of muffins disappears quickly at my house. I often divide the cooked muffins up and have some for eating now and I freeze the rest for later. When I don’t have time to use up the really ripe bananas, I often just put the whole banana into the freezer. I don’t peel them and often don’t even put them into a freezer bag. When I need a banana I just take the amount out of the freezer, let them thaw a bit and then peel and use. 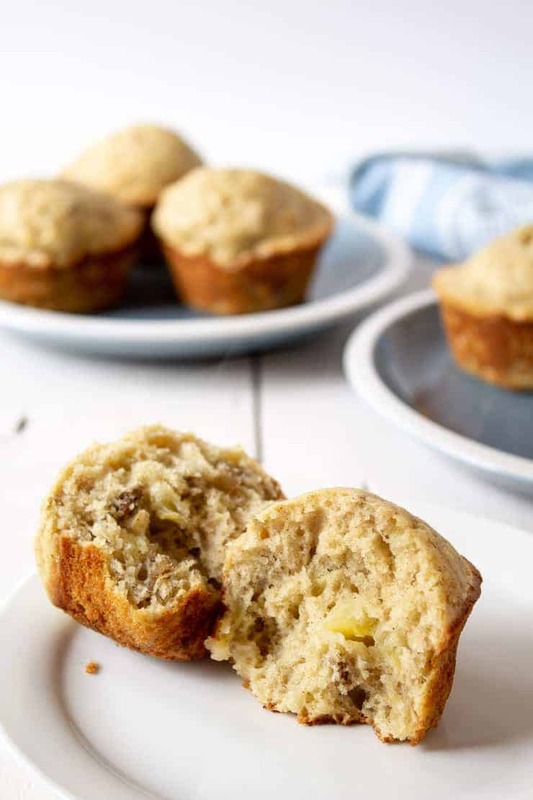 The bananas are easy to mash and work perfectly in banana muffins. 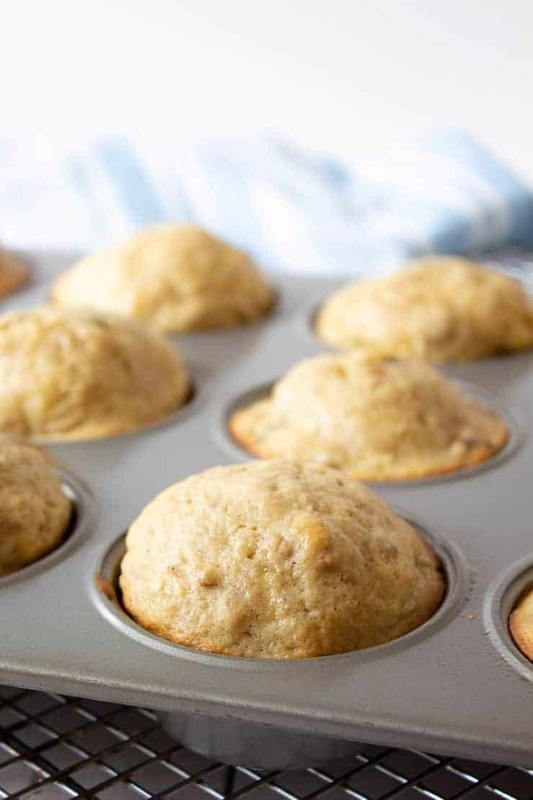 Bake in a muffin tin with paper liners or spray tin to use without liners. 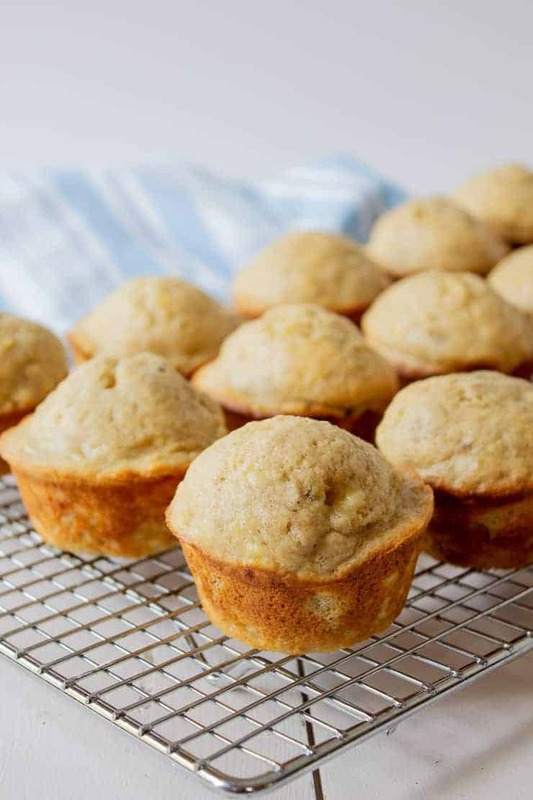 These banana muffins have chopped walnuts, but you could also use chopped pecans. If you aren’t a fan of nuts in your muffins, just omit them. I like to make muffins often. 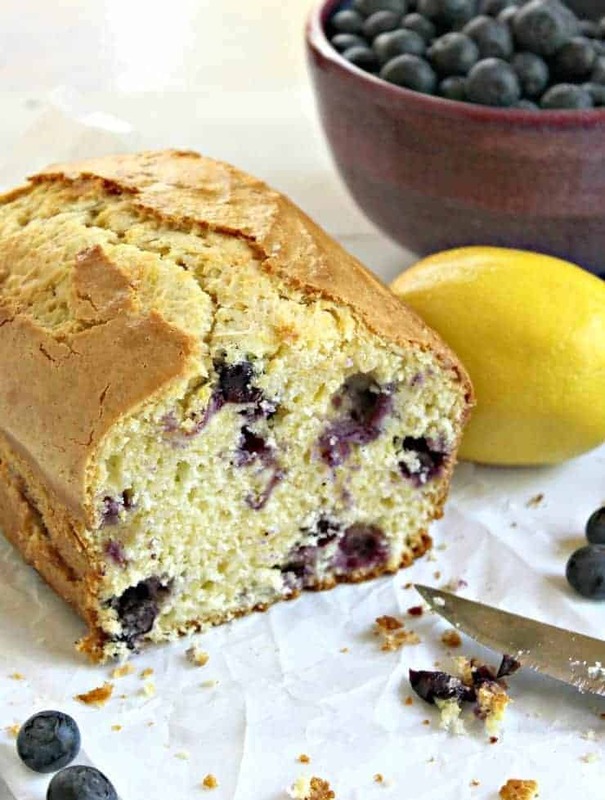 Some of my favorites include Raspberry Muffins, Triple Berry Muffins, Blueberry Muffins, Rhubarb Muffins and Lemon Poppy Seed Muffins. Mix flour, baking powder, sugar, cinnamon and salt together in a large bowl. In a separate bowl, mix butter, milk, eggs and vanilla together. 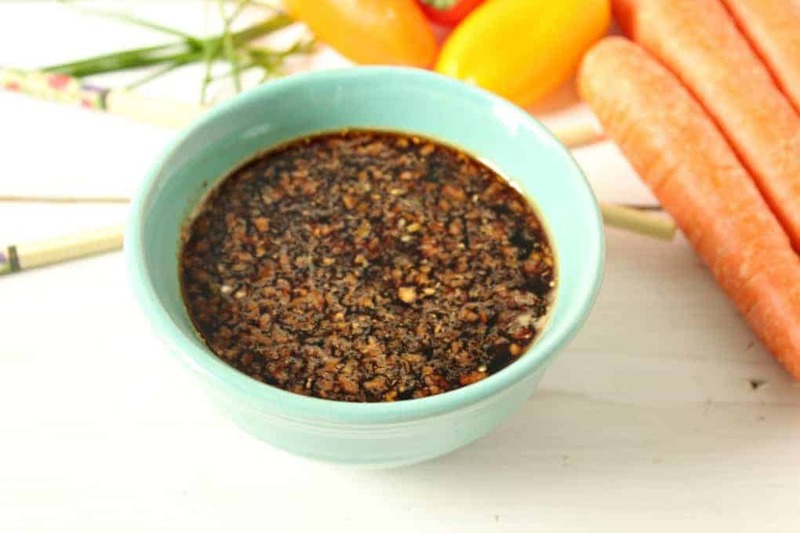 Add liquid mixture into dry mixture. Stir just until combined. Add bananas and walnuts. Stir. 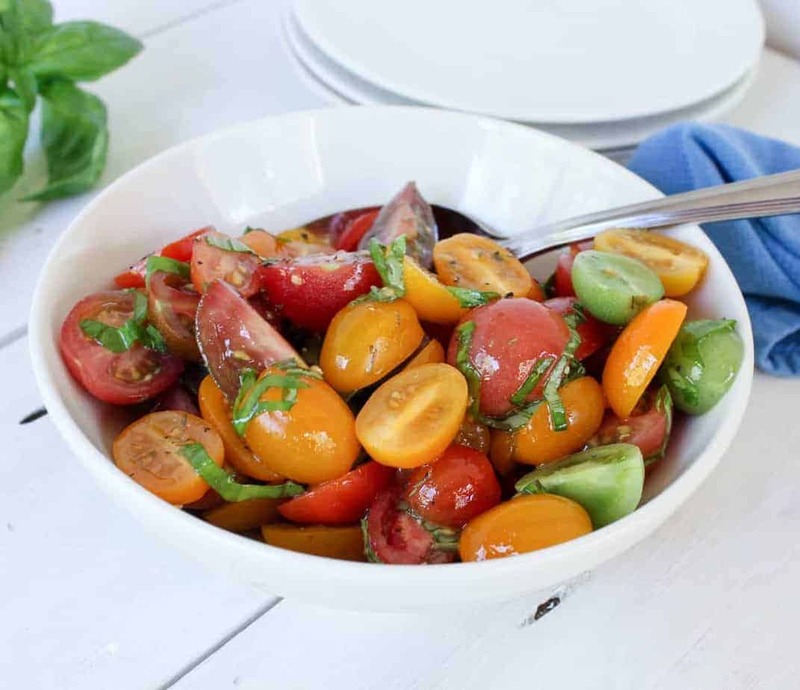 Let cool in tins for 10 minutes, remove from tins and then continue cooling on a baking rack. I haven’t baked muffins in ages and these look so perfect! I would like one right now for breakfast. I agree- that’s a great idea about freezing bananas- never thought about it and now I’m angry with myself for throwing out all those bananas in the past! (I’m also thinking about adding some of your famous Butter Cream icing on top of these muffins)! I’ve never met a banana muffin I haven’t loved Kathy! These look yummy! I love banana muffins too! That’s a great tip about just freezing bananas, Kathy! I’ve never thought of that one. Instead, I’m like “oh crap I gotta make a batch of banana muffins ASAP.” Of course, that’s never a bad thing, either, right? 🙂 Love the new photos here, my friend! Yay for summer vacation! What a great way to use up those bananas! These muffins look terrific! Bananas certainly are a versatile fruit! So many ways to use them.